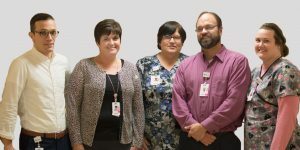 The Orleans Community Health Pharmacy Department is involved in the oversight of all medication use activities in the organization. Our Clinical Staff Pharmacists and Pharmacy Technicians pride themselves on offering the very best care to all of our patients and staff. Monday-Friday 7:30 a.m.- 6 p.m.
Saturday- Sunday 7:30 a.m.- 3:30 p.m.